From the acclaimed creators of Toy Story, The Incredibles and Finding Nemo comes a high-octane adventure comedy that shows life is about the journey, not the finish line. 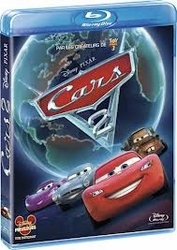 Enjoy Pixar's landmark classic on both Disney Blu-ray Hi-Def and DVD in this sensational 2-Disc Combo Pack. 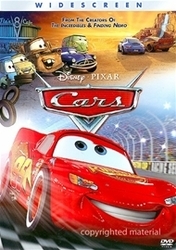 Hotshot rookie race car Lightning McQueen (Owen Wilson) is living life in the fast lane - until he hits a detour and gets stranded in Radiator Springs, a forgotten town on the old Route 66. There he meets Sally, Mater, Doc Hudson (Paul Newman), and a heap of hilarious characters who help him discover there's more to life than trophies and fame. 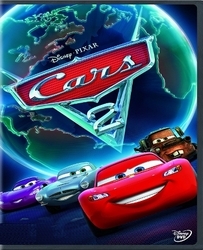 Revved up with a sensational soundtrack, the ultimate in picture and sound and hours of exciting bonus features, Cars fires on all cylinders in this Blu-ray and DVD pack!